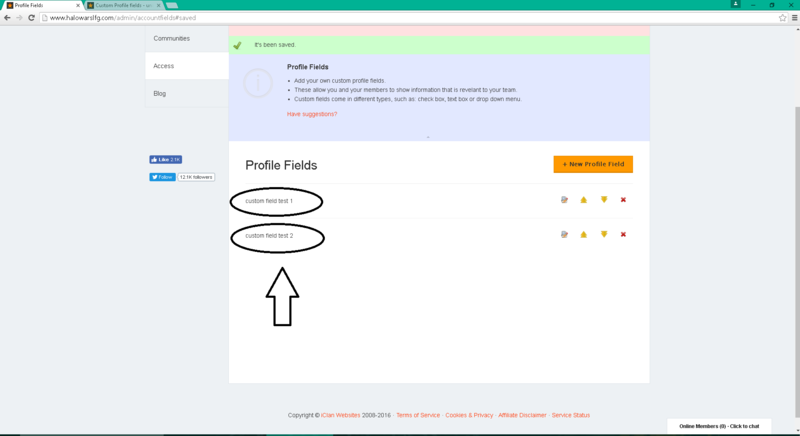 I have tried creating some custom profile fields, so that my users can express themselves and/or write stats or information into their profiles,, but I nor anyone else can seem to edit these custom profile fields. They only show as "--". 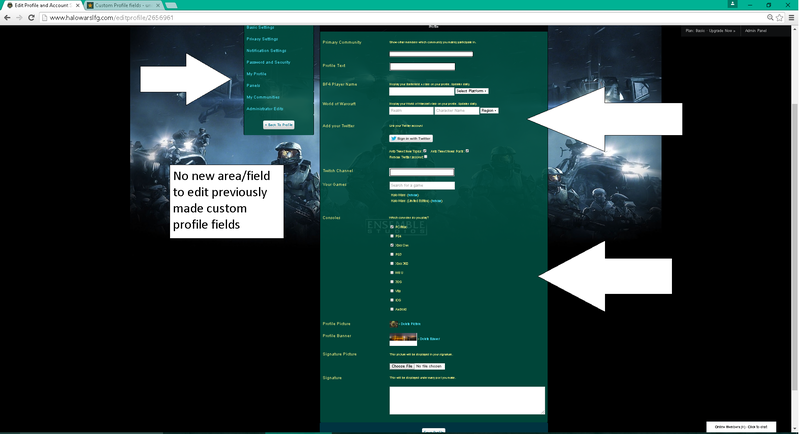 Once created, there is no new option in the personal profile settings to edit them. I know I am not the only user to report this bug. Assistance would be appreciated. Can you provide some screenshots on to what this issue is all about so that we could further test it on our side as well? Screenshots attached. Hope this helps. Looking forward to getting this sorted out. We will get back to you, we will have to test this and try to replicate on our end. Sounds good, looking forward to your reply. Any update? It's been over a week. Our developers are currently on queue. They are working on these bugs as soon as possible. We will let you know surely for updates for this. Thanks for adding to the discussion, the more people who notice this feature is unusable the more likely it'll be addressed. 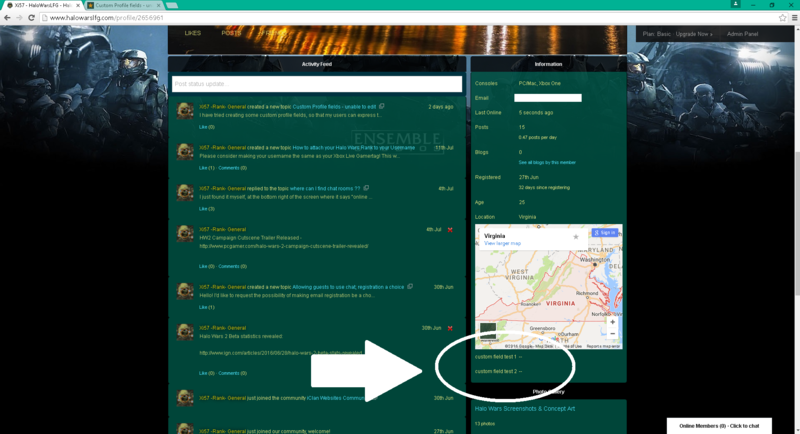 This issue was already added on our Bug List... we will let you know as soon as its fixed.